A female cabbie dubbed ‘the world’s hottest Uber driver’ has recounted her awkward journeys with lustful passengers. 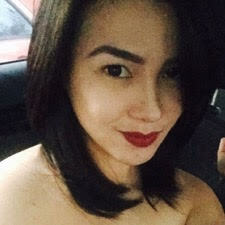 Joyce Tadeo, 27, is one of the most desirable cabbies and has her fair share of awkward fares with passengers who are surprised to see their ride is a woman in the male-dominated industry. Joyce had been working as a medical rep in a pharmaceutical company but decided to join Uber after becoming tired of the rat race in Manila, Philippines, where she lives and works in the Bonifacio Global City district. I love the attention and the feeling of being liked. I’m happy to have pictures with passengers and I’m genuinely flattered by the compliments. There are a lot of guys who want my number but I just smile and laugh it off. I haven’t tried dating any because there are strict rules about drivers and passengers. The psychology graduate has been an Uber driver for eight months, after opting for a career change. The truly modern Wonder Woman fits her 12-hour driving shifts around studying dress making part-time. Passengers often ask Joyce if they can take photos of her driving them to their destination – the results quickly went viral in her home country and she has now been dubbed the ‘world’s hottest Uber driver’ . Now, some punters are desperate to hitch a ride with Joyce when they request a driver on the app. Yes, passengers do hope that I’m the one who picks them up. But I choose whoever is nearest and on my route. There have been a few awkward moments. I collected a couple of from a ‘motel’ and I couldn’t help wondering what they had been doing, I think they were up to no good. As any Uber devotee will know, passengers are unable to book her – as the nature of the app means the nearest driver is often allocated. But apparently that won’t stop the romantic wishful thinking of her admirers, who hope love will conquer all Uber rules and restrictions to evoke a millennial fairytale.